Wow. No wonder our model, our very own wicked little Dragon, looks so happy to be modelling this super top for us. 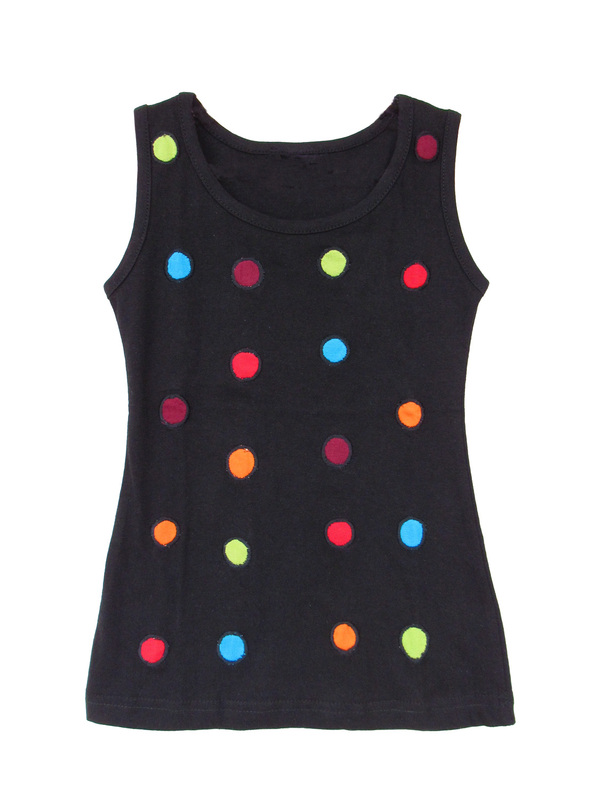 It's cute, it's fun, it's made from lovely 100% cotton, and it makes a brilliant party top as well as being perfect for casual fun. 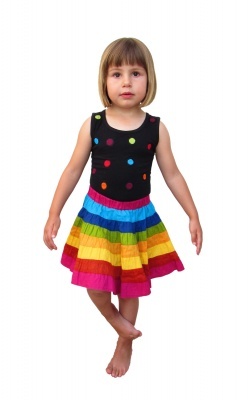 As you can see it looks fab with one of our children's rainbow skirts, nice and cool on a hot day. But the spots steal the show, such an excellent design, simplicity itself with lots of drama thanks to the black background. 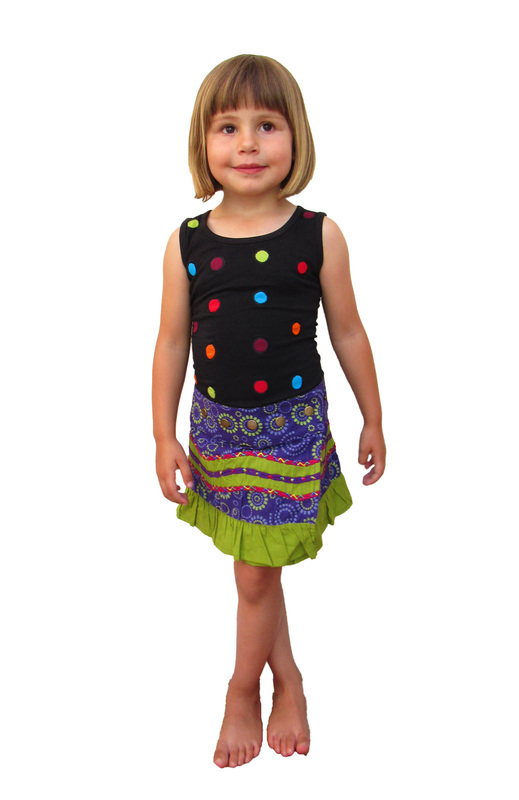 A magical introduction to boho fashion for kids! 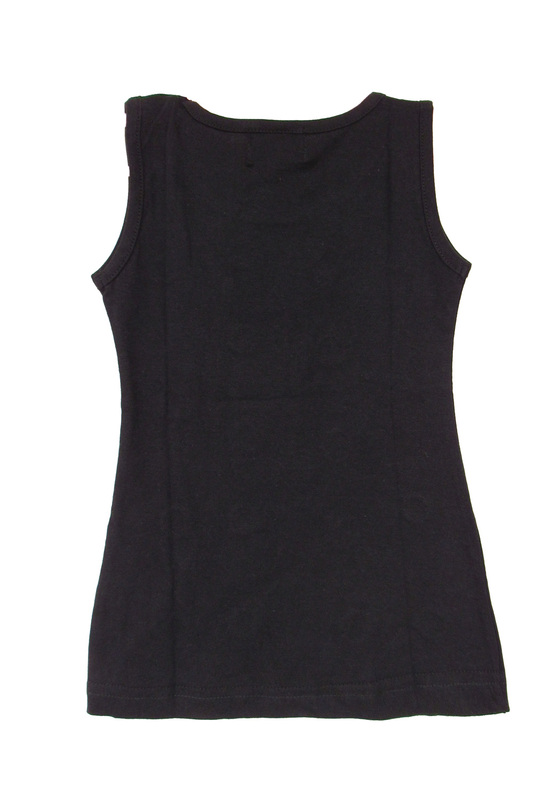 Size 2 - 4: chest 18", length 16"
Size 4 - 6: chest 20", length 17"
Size 6 - 8: chest 22", length 18"
Size 8 - 10: chest 24", length 19"